Is Arizona the epicenter of divisiveness? 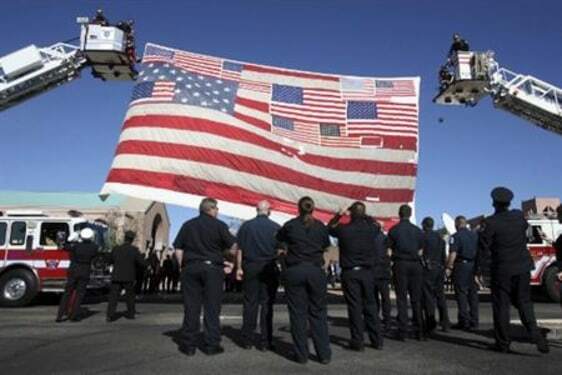 An American flag recovered from New York City's ground zero after Sept. 11 is raised by firefighters at St. Elizabeth Ann Seton Church. It was the scene of the funeral of 9-year-old Christina Green in Tucson, Ariz., on Thursday.